Since announcing that she was running for president, Kamala Harris has had a rough year. Already losing ground in a crowded Democratic primary field, Harris is struggling to stay relevant in the race for president. And things are about to get much worse for Harris if Joe Biden has any say. Kamala Harris’s campaign for president has been a slow-moving train wreck. The California Democratic Senator has been in the hot seat for weeks after a wave of bad news completely derailed her campaign. From sexual assault scandals to news that Harris slept her way to the top by having an affair with the former Mayor of San Francisco in order to get appointed to key spots in the California bureaucracy, Harris is reeling from one bad news story after another. 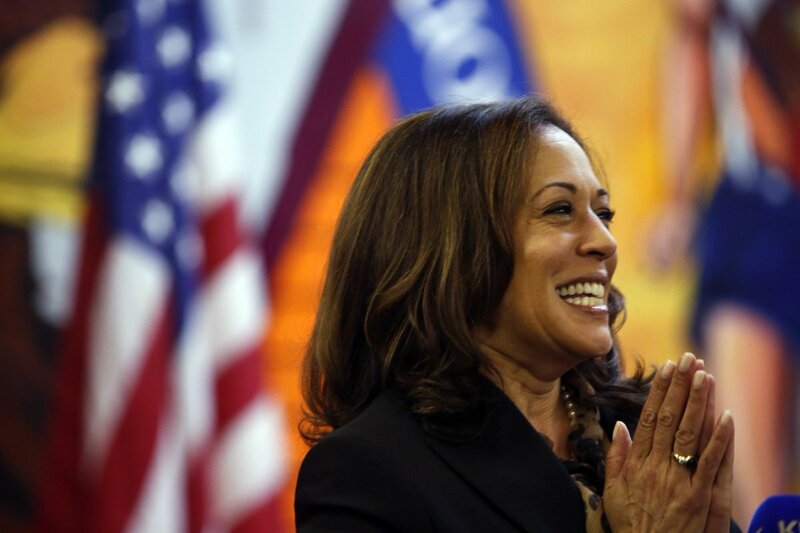 Harris’ campaign for president centers around locking up the support of the Democratic establishment that propelled Hillary Clinton to victory over Bernie Sanders in 2016. With them behind her, she stands a chance in a field of roughly 20 Democratic presidential candidates. But without them, Harris just becomes another Democratic Senator running for president with little hope of breaking out of the field. So far, it seemed as if Harris was well on her way to locking up the support of the powerful Democratic elite. There’s just one problem, Joe Biden. Biden, the former Vice President under Barack Obama, is now rumored to be jumping into the race for president himself. And Biden’s entry into the campaign field would be devastating for Harris, perhaps more so than any other candidate in the race. Biden’s strongest base of support is the same group that Harris has spent months courting. His entry into the campaign would almost certainly close Harris out of her strongest potential base heading into the first Democratic races in Iowa and New Hampshire. Biden has even come within a single sentence of jumping in the race too. “I have the most progressive record of anybody running for the United—” Biden said. Biden’s remarks may be a Freudian slip that signals he is about to jump into the race for the Democratic nomination. And Harris is hoping against hope that he won’t do so. Biden’s entry into the field won’t just wreck Harris’ chances of getting the nomination, there’s a good chance Biden himself could be the nominee thanks to his name ID advantage as well as the strong following he has within the leadership of the Democratic Party. Do you think that Joe Biden could destroy Harris’ chances of winning the Democratic nomination?